On Monday, February 21 the library will be closed to celebrate Presidents' Day. Stop in and check out some books on the lives the our leaders. Here are just a few of the many books you can find about our nation's leaders. 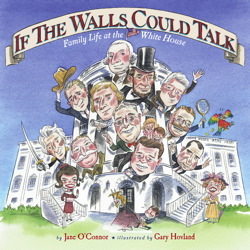 If the Walls Could Talk : Family Life at the White House, by Jane O'Connor; illustrated by Gary Hovland is a hilarious, yet respectful glimpse into what life was like under each president. Ever wonder if the presidential families had pets? Wackiest White House Pets by Kathryn Gibbs Davis describes the various kinds of pets, including bears and alligators, that were kept by various presidents. And, if you are planning a visit to Washington, D.C., visit the Madame Tussauds Wax Museum. Opening on February 17, 2011 the museum will exhibit all 44 U.S. presidents.